Chloride is the oldest continuously inhabited mining town in the state of Arizona. Nestled in a pocket of the Cerbat Mountain Range, the town is at an elevation of 4000'. The name Chloride came from the silver chloride found in the hills among other minerals in the area. Today, silver chloride is used in photographic emulsions and antiseptic silver solutions. Sometime during the 1840's, prospectors canvassing the area stumbled upon numerous veins rich in silver surrounding the area that would someday become Chloride. The silver was found primarily at a site known as Silver Hill. But silver wasn't all they eventually found. Gold, lead, zinc, and turquoise were abundant in "them thar hills." Chloride was founded about 1863, but turmoil with the Hualapai Indians slowed mining considerably. 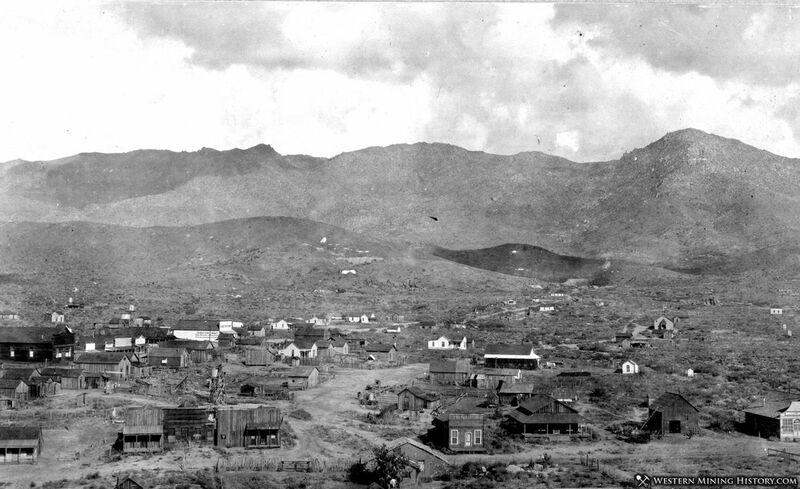 In 1870, a signed treaty with the Hualapais cleared the way for extensive mining of the area. 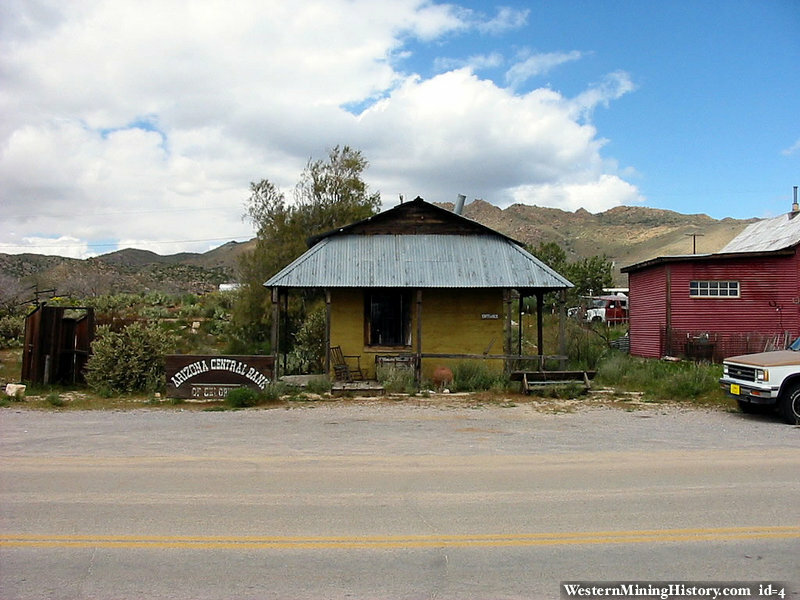 In 1873, the United States Post Office Department opened an office in Chloride and the Chloride Post Office has been in continuous operation since 1893 making it one of the oldest continuously operated post offices in the state of Arizona. From 1868 to 1919, the Butterfield Stage Line serviced Chloride and surrounding area. The stage stop and repair station was located at the building presently known as Yesterday's Restaurant. In 1898, the Sante Fe Railroad began laying tracks from Kingman into Chloride. The railway station still stands today and is fairly intact. In 1910, tracks from the railway station were continued on to the Tennessee Mine, which was the largest of all mines in the area. The Santa Fe Railroad provided both passenger and cargo service until 1935 when the decision to close the station was made. In 1871, Chloride became the Mohave County seat. The population escalated to approximately 5000, but dropped to 2000 around 1917. It stayed that way until 1944, when the mines were closed due to the low prices of silver and other minerals. Chloride became a virtual ghost town. Presently, the continuous population is around 150 and reaches a high of 250 during the winter months when "snow-birds" come in from the cold. Many of the present day citizens are retirees, artists, musicians, and the like. Some residents work locally, some have their own shops, while others work in the casino industry in Laughlin or Las Vegas or are employed in one of many businesses in Kingman. During the counterculture period of the 1960's, a band of hippies led by a man named Roy Purcell camped in the hills above Chloride to the East. During their stay, Roy painted what are now known as throughout the world as the "Chloride Murals". Ancient petroglyph's are also located in this area.